Jury selection is scheduled to begin Monday in a double murder case in Vermilion County. Glenn T. Torres was arrested in October of 2015 in the shooting deaths of 28-year-old Zarra Strickland and 29-year-old Theodore Hill. 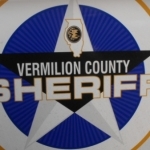 Vermilion County Sheriff Pat Hartshorn said earlier that the bodies were found in a yard along Western Avenue on August 4th, 2015. Shortly after Torres was arrested the Sheriff Hartshorn said Investigators had been working really hard on the case and finally got the breaks they needed. Jury selection is scheduled to get underway in the case Monday afternoon (April 15, 2019).